Way back in the Reagan years, in those prosperous times when the social safety net was being shredded, experts talked about triage. Triage is a medical term for sorting level of injury in a disaster, including putting a black tag on the living who cannot be saved with present resources. Our economy was a disaster, they said. The ship of state was loaded down with poor people. How could we afford this burden? Some writers pointed out it’s premature to throw people overboard while there’s still steak and whiskey in first class. But enough stayed comfortable that the cries of the excluded could be ignored and concentration of wealth proceed. Now the 0.1% are living in opulence that makes steak and whiskey seem quaint, and our ship of state has been hijacked by a corrupt billionaire and his pirate crew. It’s triage time again, and the 20 million who recently got access to health care are about to be tossed. The president who must not be named just signed an executive order that undercuts the shaky stability of the Affordable Care Act with unclear language about easing the burden of regulation. He has made it clear he intends to undo the insurance reforms of the past 6 years. Fundamentally, insurance is about dividing up the risk. If our nation divided the risk among our 324,000,000 we could have universal health care in return for our taxes. We are decades behind the rest of the developed world in constructing a national health program. What we have now, the Affordable Care Act, should really be called the Achievable Care Act, because it’s what survived the Congressional sausage-making factory. We were supposed to have a Public Option, but that was triaged out as the ACA passed by single digits in both houses. It was harsh, I remember hearing Rep. Joe Wilson shout, “you lie” at President Obama as he spoke to Congress. House majority leader, Rep. John Boehner was emoting all over the place. President Obama accomplished what a century of presidents attempted. He got us started on a track to universal access to health care. Rhode Island has built up a working health benefits exchange that is a lifeline for many of us, middle class included. Small business owners, people whose jobs do not provide insurance, people who were hanging in there hoping to stay healthy until they qualified for Medicare are some of the people who use Obamacare. Workers don’t have to stay in jobs they hate just to have access to insurance. Parents can decide to stay home if that’s best for their family instead of working just for the coverage. Most Americans have coverage in the complicated system we’ve built since WWII. Most don’t fall through the holes. I think the fact that we have emergency services creates an illusion that the safety net is there when we need it. It’s true that by law no one who goes to a hospital ER in an emergency is turned away. That seems so right, so American, that most don’t know that law was only passed in 1986. EDITOR'S NOTE: The promise to provide health care to all regardless of ability to pay pre-dated the 1986 law. The promise was a part of the 1946 Hill-Burton Act which spurred construction of health care facilities across the US. Any facility that received federal construction money had to make this pledge. But until the last 1970s, this promise was little known and had no enforcement mechanism. Now we won’t die outside the hospital door, but the most common cause of bankruptcy is medical debt. I got my first inside look at the beast that is our health care ‘system’ when I answered a newspaper ad in 1985. I was hired as a nurse’s aide at Wayland Health Center. That nursing home shut down after a horrific incident where an aide put an elderly patient into a hot tub without testing the water and burned her to death. Subsequently the state required all aides to be trained and certified. Darn those government regulations. We can’t even tie confused people up in chairs all day like we did back then. As a minimum wage worker I was one of those freeloaders in the 47% that didn’t pay federal income taxes. Every two weeks I would stare at my paycheck for a few minutes, wondering how 40 hours of exhausting labor could earn me so little. I worked close to where I lived because a car was unaffordable. I guess you could say I was one of the takers, contributing nothing except Social Security and other deductions in my paycheck plus sales taxes and the underpaid labor that made nursing homes lucrative for the job creators. I voted to maintain the highways I couldn’t afford to drive on while seeing public transit cut year by year. I had health insurance by then because I was legally married, but many of my co-workers were uninsured or paying a big hunk of their wages to get on the company plan. It’s risky to go without a medical safety net. Things happen. A healthy woman may have a million dollar baby. And that baby might need skilled care for many years. A car accident, an unexpected health crisis will happen to someone. Or yourself, if the dice roll that way. But it’s midnight in America. Must we toss some people overboard? Maybe not the grandmothers on Medicaid. They babysit so their adult children can hold down a decent middle-class job. Maybe not the disabled children, because they are innocent, unlike their exhausted parents. But the Ladd School is closed and we need the caregivers. Maybe not orphans who age out of the foster care system. Maybe not anyone because people who get sick for lack of care end up costing all of us at the ER or hospital. Investing in health care for Rhode Island has costs but also advantages. Direct health care is a job creator, one of the most labor-intensive classes of work and more needed as the population ages. Health care workers don’t put their pay into offshore accounts, they spend it locally. During the Reagan years we heard scandalous stories about six hundred dollar toilet seats ordered for the military. During the Iraq War bundles of cash were just lost. Contractors for Halliburton risked their lives driving empty trucks through a war zone because they were paid by the run. Soldiers tried to improvise shielding on ‘thin skinned Humvees’ that left them exposed to roadside bombs. All these billions and all those lives sacrificed to war. 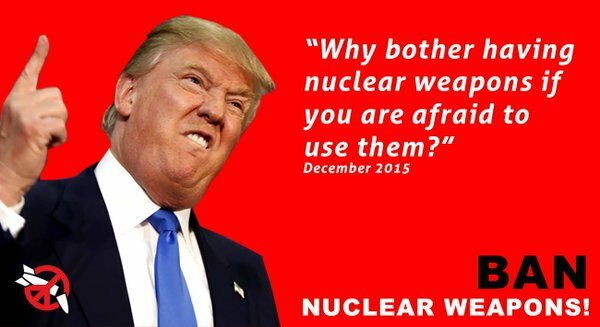 Why is investing in peace such a hard sell? If managed right, money spent on health care can be a job creator. We need a living wage for the women and men who provide direct care for the elderly and disabled. Their wages for the most part will go right in to our local economy. And health care is meaningful work with opportunity for advancement. Workers who get more training and education can gain certification and better pay. Direct care workers have knowledge and experience they can share with the community, helping to educate the public on how to manage chronic diseases like diabetes and heart disease. That woman in scrubs riding the bus is holding it all together and she deserves a raise. The right is better than we are at propaganda. Sneer at “government health care”, but don’t touch my Medicare. Sarah Palin’s “death panels” lie had legs because Americans feel insecure. For-profit corporations have too much power over what should be a public good. But if you don’t want the system that neglected wellness to go into overdrive when you are dying you better hope your doctor will make time to discuss an Advance Directive even if she can’t bill for it. One great benefit of the Affordable Care Act is the provision that insurance companies can’t deny someone for a ‘pre-existing condition’. This makes it harder for insurance companies to ‘cherry pick’ customers who will never make a claim. Republicans want to ease the pain to big insurance by dividing Americans into the healthy and a high risk pool for those whom God has not blessed people with pre-existing conditions. I don’t know how to find a signal word for the outrageousness of this. Maybe the word, ‘segregation’? We’ll hate on people who make expensive claims and blame them for our lousy economy. They should be grateful that they get second-class, high risk pool insurance. Segregation worked just fine for the majority for about a hundred years, after all. Let’s hear it for segregated health care. Or we can recognize that we are a great nation and we can take care of our own. Not with a ‘system’ that puts profit ahead of the public good, but with effective, efficient and accountable health care for all. 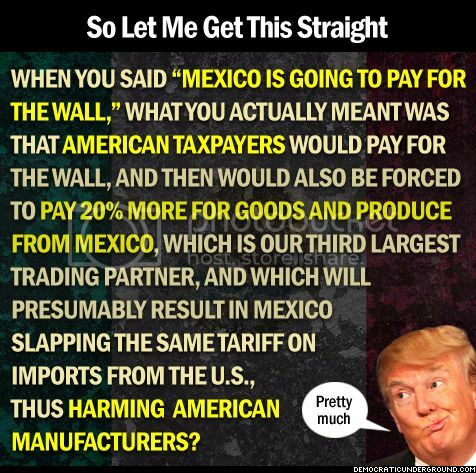 We would not be the first country to get there, so what are we waiting for? Now is the time. Typical of Trump’s executive “style,” this vague outline of core national policy is long on hype and rhetoric and short on substance. 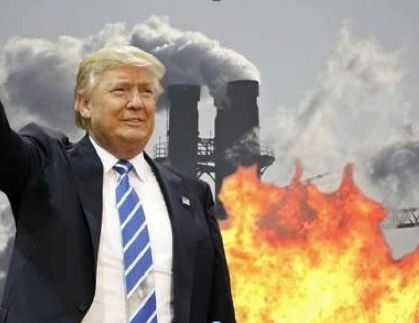 Trump’s national energy and climate action plans run contrary to those of the large majority of Americans, however; at least according to a survey conducted by the non-partisan Pew Research Center. 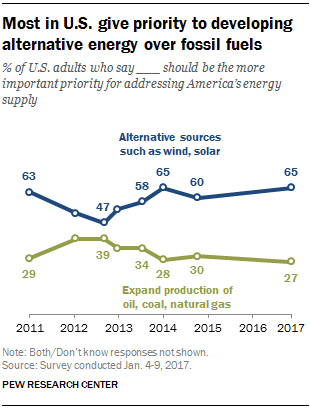 Just shy of two-thirds of Americans (65%) give priority to developing alternative energy sources as opposed to 27 percent who favor expanding fossil fuel production, Pew’s Brian Kennedy highlights in a Jan. 23 news post. 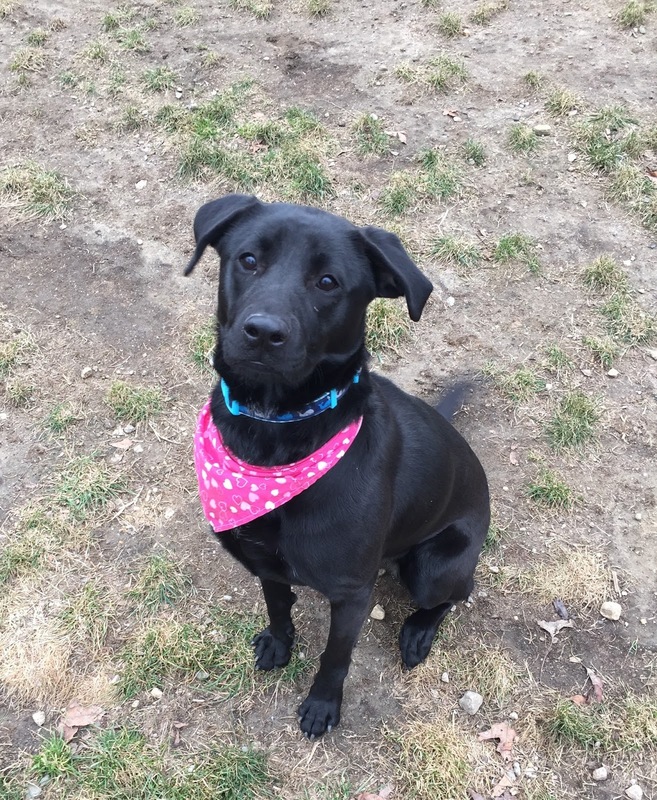 Miss Sadie is wearing her heart bandana in hopes of finding her one true love...YOU! This girl sure knows how to shake her rump when she's excited, especially when she knows you are about to play with her. She loves her toys and other dogs and is hoping for a home with both! When she is in her kennel she is neat, clean and housebroken, just a real gem! There is a biting symmetry that Holocaust Remembrance Day, and the failure of the Trump Administration to mention the Jewish people in its statement, occurred at the same time the Administration was blowing up American immigration policy in a way that harkened back to the years before World War II. For all the reverence in which President Franklin Roosevelt is rightly held, one of the most lasting shames of his presidency was how his government - our United States - turned away boatloads of Jewish refugees fleeing Europe, most of whom returned to their death. Another lasting shame was the scapegoating of patriotic Japanese Americans who were sent to internment camps based solely on their ethnic heritage. These twin stains on our national history see fearsome echoes in our own time. Please RSVP HERE and let us know you will join us Wednesday, Feb. 1, 3 pm at the RI State House for our Reproductive Freedom Advocacy Day. State Senator Gayle Goldin and State Representative Edith Ajello will announce the introduction of legislation to put Roe vs Wade into law. Join us Wednesday to ask our elected officials, including Governor Gina Raimondo, Senate President M. Teresa Paiva-Weed, and House Speaker Nicholas Mattiello, to stand up for reproductive rights and to the attacks on our freedom coming from President Trump and his allies. Rhode Islanders overwhelmingly support keeping abortion legal. The Pew Research Center has found that 63% of Rhode Island residents support keeping abortion legal in all or most cases, while only 31% feel the opposite way. However, despite this support, there is no state law that protects the right to abortion. In fact, Rhode Island was given an F by NARAL for our reproductive rights laws. The Guttmacher Institute calls us the only state hostile to abortion rights in New England. And far too many of our elected oficials are anti-choice. It is time to fight for change. On Saturday, 7,000 Rhode Islanders came together at the State House to celebrate our power and demand our elected leaders take action to protect our rights. Over 900 people signed up to be involved with Planned Parenthood and the movement for reproductive freedom! You can see videos of our amazing speakers and photos from the event on our Facebook page. Now, we must continue building our movement. Will you stand with us again on Feb 1 to demand our elected leaders, including the Governor and the Rhode Island General Assembly, take action to protect reproductive rights and access in RI? Also, join us for making signs and writing letters to elected officials the night before: Tuesday, Jan. 31, 6:30 pm, Wilson Hall, Room 102, Brown University. Do you know where you RI State Senator and RI State Representative stand on reproductive rights? Find out on our new Reproductive Freedom Voters Resource Page! Once you know, please send them a message asking them to support enacting a law in Rhode Island to protect safe, legal abortion. 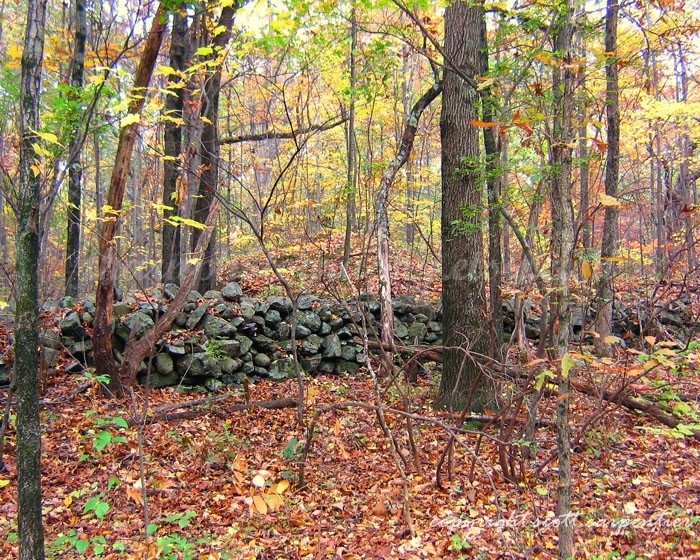 Preserved open space in Rhode Island needs additional protections, because poachers steal rocks from stone walls and nearby residents cut down trees to improve their views. So now we’ve had a great rally at the State House to show how our corner of the state is opposed to the proposed Amtrak rail project known as the Saybrook-Kenyon bypass. The plan is getting a similar reception in eastern Connecticut. Charlestown’s initial tantrum that the plan was a “surprise” sprung on us with evil intentions by the nefarious federal government was dowsed with ice water when our former Town Council Boss Tom Gentz admitted he had received Amtrak’s draft plan over a year ago – but didn’t have time to read it. Also, Sen. Jack Reed has delivered additional time to comment on the plan wiping out the Charlestown Town Council’s major complaint. The Charlestown Citizens Alliance (CCA Party) which controls town government loves a crisis pitting us against some relentless demonic foe. However, I believe our opposition needs to take on a more nuanced tone. 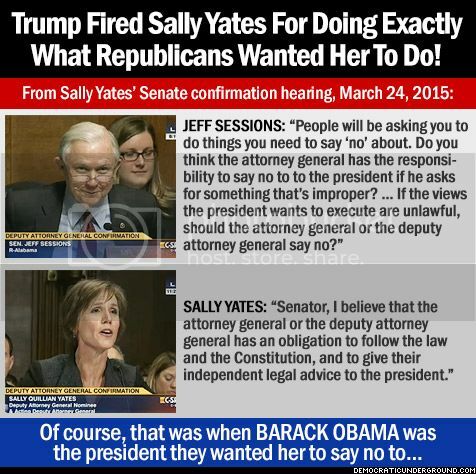 I also believe we have to think the politics of this thing through, especially since all commonly accepted political realities changed on January 20. There's a lot of good that kids can take away from watching their favorite superheroes -- defending and protecting the weak, using their talents to help others and fighting for a cause that's bigger than themselves, to name a few. BYU family life professor Sarah M. Coyne decided to study what it was, exactly, that preschool-aged boys and girls took away from exposure to superhero culture, and it wasn't the many positive traits that shone through. A dozen glass cylinders containing a potential payload of bright green algae are exposed to hundreds of multi-colored lights, which provide all of sunlight's natural hues. The tiny LEDs brighten and dim to mimic the outdoors' constantly changing conditions. To further simulate a virtual cloud passing overhead, chillers kick in and nudge the algae a little cooler. A new, approximately $6-million collaborative project is using this unique climate-simulating laboratory system as part of a new streamlined process to quickly pare down heaps of algae species into just a few that hold the most promise for renewable fuels. Discovering which algae species is best suited to make biofuel is no small task. Researchers have tried to evaluate algae in test tubes, but often find lab results don't always mirror what happens when green goo is grown in outdoor ponds. 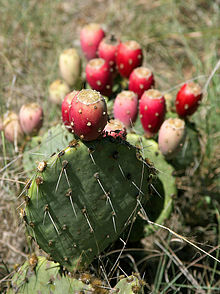 Chemicals extracted from the prickly pear and brown seaweed, two ubiquitous Mediterranean plants, eased symptoms in organisms suffering from Alzheimer's and Parkinson's disease, according to new research. Small molecules from the plants interfere with the build-up of sticky protein clumps rendering them less toxic to neurons. The results of the study hold promise for ground-breaking treatment of age-related diseases. The Mediterranean is a haven for lovers of crystal-clear seas and sun-kissed landscapes. Now, thanks to the work of scientists from the University of Malta and the Centre National de la Recherche Scientifique (CNRS/University of Bordeaux), it has the added appeal of being an actual fountain of youth. If Obama's health law is reversed, taxes will go down for the rich and up for the poor, while millions lose coverage. Buoyed by the passage of the Green Economy Bond referendum in November, the state’s leading environmental advocacy group has set some ambitious goals for the 2017 session of the General Assembly, which runs through June. At its annual Legislative Coffee Hour on Jan. 18, the Environment Council of Rhode Island (ECRI), an organization representing dozens of local environmental groups and environmental advocates, laid out its top legislative priorities in four categories: energy, transportation, waste, and land and water. Our 4th Annual Seal Splash is fast approaching, but there is still plenty of time to start your fundraising efforts today. Whether you dip or donate, your support makes a world of difference for our Animal Rescue Program. 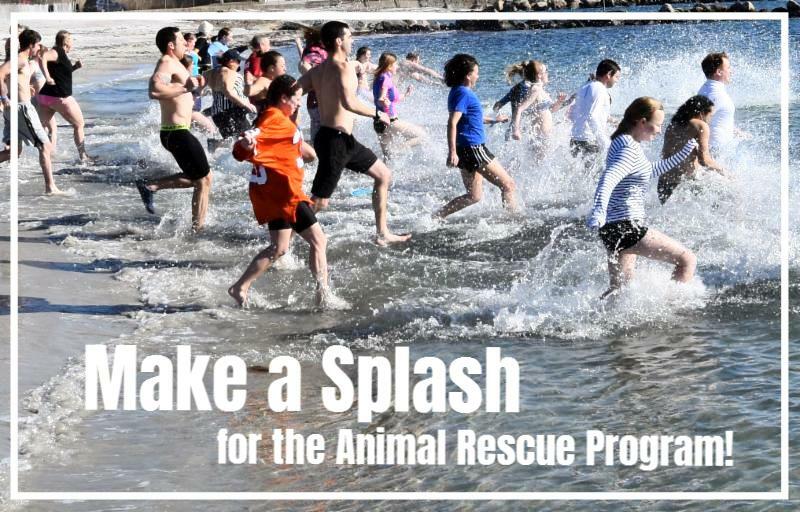 Register as a splasher before January 31 and you'll receive a FREE Animal Rescue tote bag! Zbierski House | 1 Beach Pond Road | Groton, Conn.
Dine and Donate - it's that easy! Help support our mission while you enjoy dinner at Margarita's Mexican Restaurant on February 16. Simply present this coupon to your server and they'll donate 20% of your dinner bill to Mystic Aquarium. Safety tips for those few who use "Faith's Folly"
February 4 - "Sing Away Hunger"
We Cannot Wait for History to Judge. Newly discovered moth species named for Trump.